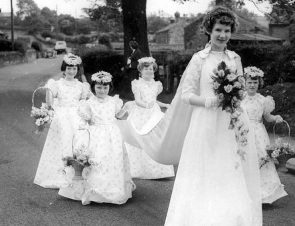 Welcome to Brindle Historical Society website. Kindly hosted by ITMedics. a question and answer session and tea or coffee and biscuits. Our May meeting is a talk by Keith Hick on The Lettuce Line – the West Lancashire and Liverpool, Southport & Preston Junction Railways 1878 – 1964 on Monday 20th May at 7.30pm. Read about the History of Brindle and about the people that have lived here. Formed in 2002, our Society exists to preserve the history of Brindle, one of the oldest Parishes in Lancashire, dating back to c1190. Our website features all the latest news from the Society, details of our future meetings and events, information and news articles, and details of the local War Memorials. As well as finding out about the past, you can read our book reviews and find information about the interesting places in the local area we have visited.